Whether it's an IronClad® fence or a cozy fireplace, we've got you covered. We're well-accustomed to factoring in easily-forgotten aspects, like foot traffic or natural lighting. Plus — our products are meant to live indoors and outdoors, and they only get better as they age. At ten feet high, this water feature commands the outdoor patio. Made with an industrial carbon finish and placed over hot rolled steel. 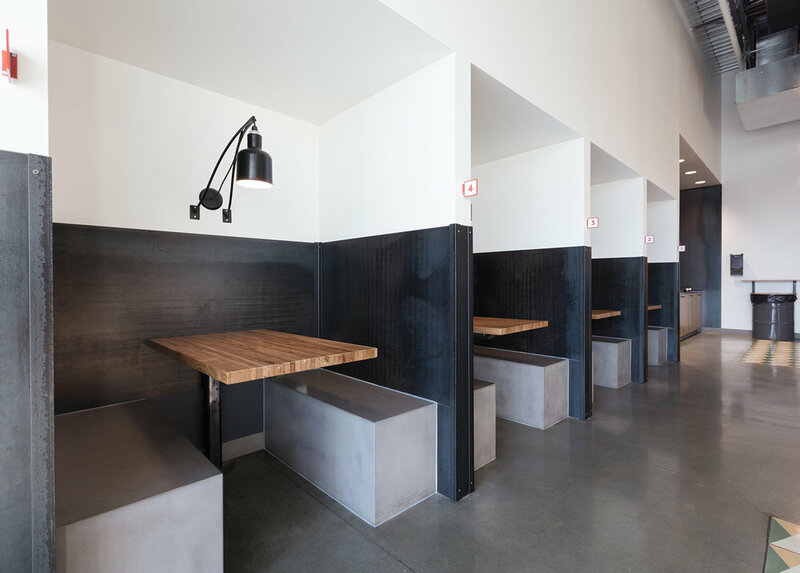 Alongside sits two concrete benches, made with our OrganiCrete® concrete in Earl Grey II finish. At the end rests an impressive concrete fireplace. Check out what we have.